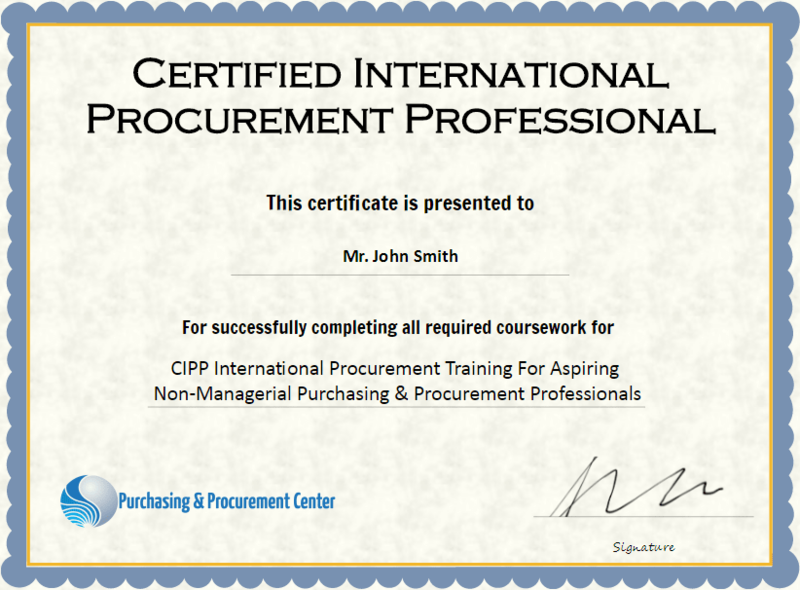 CIPP & CIAPP International Procurement Certification Puts a Boost to Your Skills, Career & Income! Gain an Accredited International Procurement Certification Without Reading Books & Without Travelling That Will Equip You with World Class Skills & Global Best Procurement Practices to Excel in Your Job, Produce Bottom Line Results & Increase Chances of Promotion & Higher Income! Purchasing & Procurement Center (PPC) brings 2 certification programs with well balanced learning plans - CIPP & CIAPP. When you join either of these certification programs you are joining a program with a rigorous set of established standards and competencies for procurement executives. The uniqueness of CIPP & CIAPP certifications is that they cater to both - new aspiring procurement executive and the experienced procurement professionals for further career advancement. The designations are recognized credentials throughout the world. Once attained they indicate achievement at certain level of world class knowledge, skills and competences for the procurement professional. 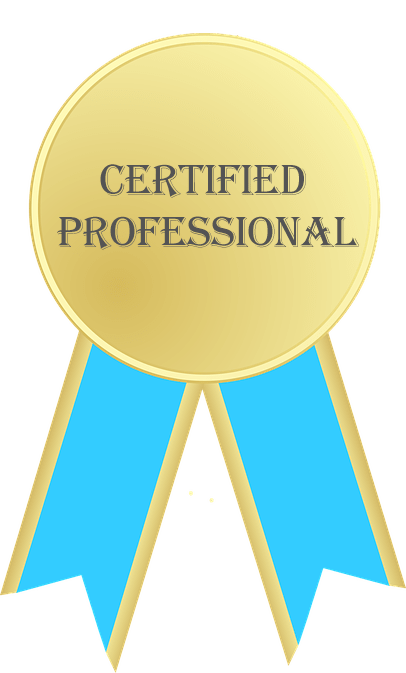 Individual Certification is usually the aspiration of a driven individual to excel in his profession. 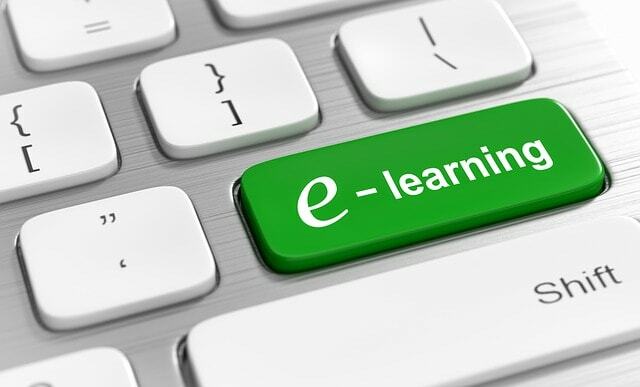 However for CPOs and Procurement Directors who would like to enrol all their team for such programs, Purchasing & Procurement Center provides a much more flexible & customized learning & development program experience. The CIPP certification is open to all procurement executives who are active in a procurement, contract management or category management role without requiring any long experience on the job. - at the least a Bachelors degree together with a minimum of five years’ relevant experience in a procurement role or in a Managerial position and above. The learning plans leading to CIPP & CIAPP certification are well-balanced learning plans for two procurement-professional profiles of different experience levels. These programs are delivered completely online and are essentially self-directed allowing you to study at your own pace.. You can learn wherever and whenever you see fit, at your own pace. A dedicated support team is there to help you and to make sure that you do not fall behind on your schedule. The Scenario Based e-learning takes almost 10 times longer to develop than standard rapid learning techniques. The e-courses are based on Cognitive Load theory, the best grounded theory for learning. One of the defining characteristics of the human cognitive system is the capacity limitation of our working memory. When information is presented in a complex way to a learner, the working memory will often get overloaded and learning stops. There are techniques that can be used to overcome this. Here are a few of these techniques that were used while designing the courses: Comic styles were used as they are preferred to photos; Easy exercises and examples are integrated in the courses; Use of Audio and relevant visual information are shown simultaneously to optimize learning. As a result of these techniques, the information will flow seamlessly into your long-term memory. You will find the courses easy to follow, understand and apply. The CIPP program is typically aimed at people who are starting their career in procurement. The program takes a generalist approach on procurement, concentrating on the fundamentals of procurement. The CIPP program is ideal for buyers looking for a first professional certification. It will allow you to understand the key processes in procurement and help build the professional knowledge and competences that employers are looking for. Suited better for those who are not in a Managerial position or have less than 5 years experience. The CIAPP program is designed for more seasoned procurement professionals who want to improve on their tactical skills and seek to evolve to a more strategic position within a procurement department. Usually this is suitable for Managers, Directors & Senior Level Executives in procurement, or those who have 5 or more years experience. There is a vetting process for CIAPP application to determine the suitability of each individual to the program. To get started update your contact details below. Then you'll receive the official Pamphlet where we outline in full about CIPP & CIAPP including topics & duration for each program, investment fees and how to enrol/register.